If you experience severe dental anxiety that prevents you from visiting the dentist as needed, IV sedation may be able to help. Our experienced cosmetic dentist, Dr. Donian Shen, often utilizes sedation dentistry techniques to perform dental treatment on patients who require extra care. 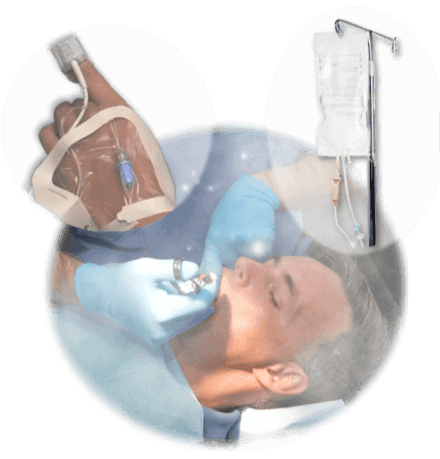 IV sedation—also known as sleep dentistry—can allow you to rest peacefully while our extensively trained and gentle team completes the services you need. When you awaken, you should have no memory of the procedure. However, you will be able to see the results and enjoy the outcome free of the discomfort you may associate with dentistry. We will conduct a thorough medical and dental evaluation prior to your appointment to ensure this technique is appropriate for your needs. During the procedure, we will monitor your pulse, blood pressure, and oxygen levels to ensure the safest environment possible. After the treatment is complete, you will need a friend or family member to take you home and stay with you for a few hours, as you may feel a bit groggy. Your oral health is important, and fear of the dentist shouldn’t stop you from maintaining healthy teeth and gums and a beautiful smile.